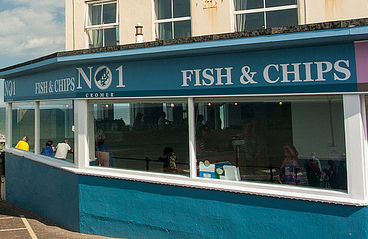 No1 Cromer is the latest restaurant from renowned chef, Galton Blackiston. 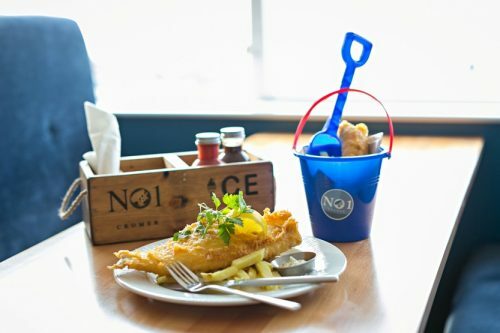 Locally sourced produce is at the heart of the menu and the ethos of No1 Cromer, so much so that all potatoes are grown on our own farm, and during the height of summer sees us use in excess of 12 tonnes per week! 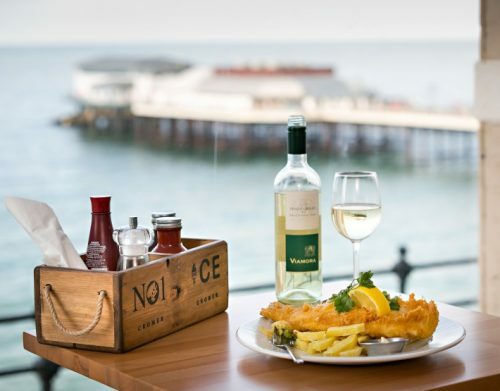 Simple dishes at accessible prices for the whole family are the order of the day, alongside stunning views across Cromer beach and the pier, No1 Cromer really is a special place for the whole family to enjoy. 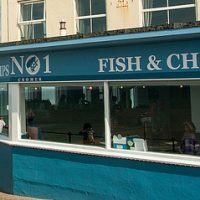 As well as traditional fish dishes we have a few signature dishes such as the crab cakes (Cromer of course) and the different, yet delicious mushy pea fritters. 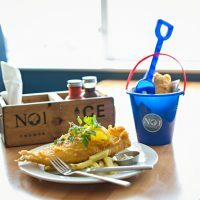 Children’s meals are served in a fun ‘bucket & spade’ and they can even come and colour in with our resident crab, aptly named Cromer! 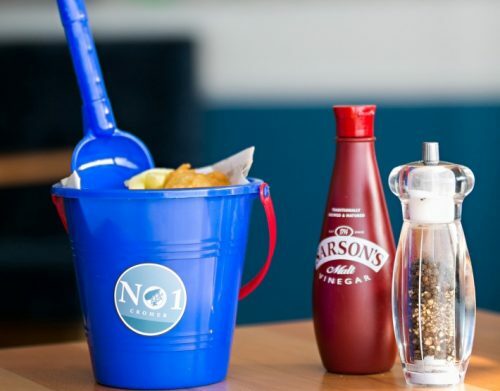 As well as Fish & Chips from the restaurant, our real beating heart is our Cromer Fish & Chips Takeaway. Just a few steps from the beach, pier and town centre, the position couldn’t be more perfect. 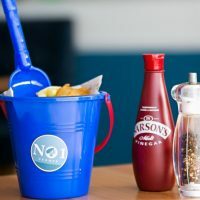 You will find the same great quality food and local produce as you do in the Restaurant, including all sausages fresh from a local butcher, home-made mushy peas (and the Mushy Pea Fritter) to Galton’s recipe and of course even the batter has been adapted to give the perfect taste. Ice Cromer, sits right on the corner of New Street, offering takeaway ice-cream and of course the selection is available to everyone visiting the restaurant. 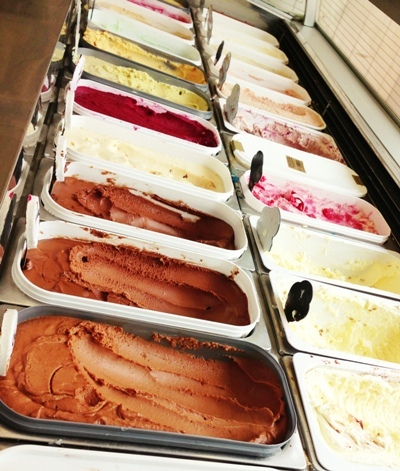 All ice cream is produced from scratch, and all ingredients sourced (even the milk!) from the heart of Norfolk in conjunction with Norfolk Farmhouse Ice Cream. 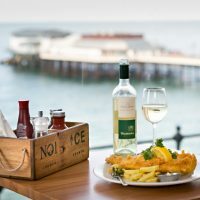 Open every day and right on the sea front, Ice Cromer is the perfect place to grab a quick drink, snack and of course Ice Cream. 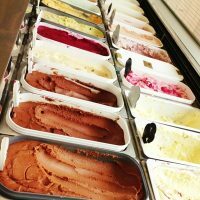 We have one of the biggest selections available, with a total of 33 flavours including: Mint Chocolate Chip, Strawberry, Raspberry, Rum & Raisin, Vanilla and one of our favourites, Tutti Frutti. Ice Cromer is the only place you will find Norfolk Farmhouse Ice Cream in Cromer.